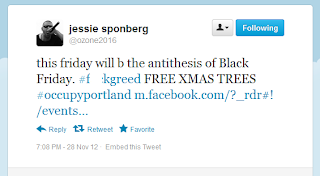 Occupy Portland to Get In The Christmas Spirit, "F" Greed, Free Christmas Trees! @VictoriaTaft SE 125th and Division; go south a few blocks on 125th and it’s on your right. 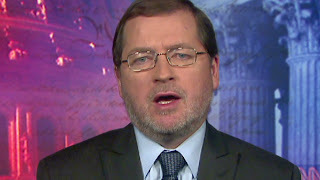 Americans for Tax Reform Chief Grover Norquist predicts Republicans will win the game of fiscal chicken with the President and foresees a huge new wave of the Tea Party. He is overplaying his mandate, just as he did four years ago. Four years ago, he took a 70% support level and drove it down to below 50% in a matter of months by spending all that crazy money on stimulus and TARP II and other spending programs, because somehow he thought the American people had signed up for this. They hadn’t. Now he thinks they’ve signed up for massive tax increases as well as spending increases and, I’ve got news for him, 86% of his ads were Romney’s an idiot, Romney will give you cancer. He won a mandate not to be Romney, OK? Not the same thing as a mandate to tax and spend. We are about to have a Tea Party second wave that will dwarf the first wave and that is because while ‘spend too much’ brought the Tea Party into existence, we’re about to walk into ‘spend too much, regulate too much, and tax too much, all together. It’s going to be a perfect storm of annoying government behavior, which is devastating to the economy, and I think the small business community which is particularly hit by Obama’s tax increases are going to lead the fight bigger, stronger, tougher than the last Tea Party. He’s not the only one who believes this. I think if the sequester happens, it’s a good thing. The sequester saves hundreds of billions of dollars a year for ten years. …you might want to organize it differently, not falling across the board quite so much, and shape it more, but there’s plenty of time to do that. We won a trillion dollars spending over a decade, the democrats agreed to it, it’s the law of the land, why in the world would you give that up? I like the sequester. Again we could shape it differently, absolutely, if people want to sit down and do that, but we shouldn’t delay it, we shouldn’t cut it in half, and we certainly shouldn’t give it away. 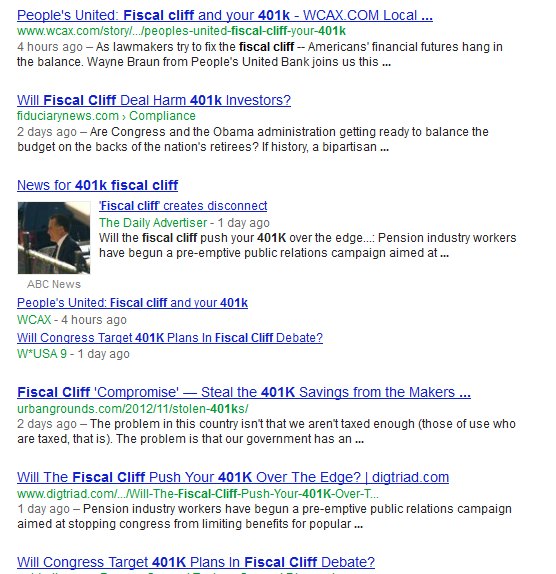 As for going over the fiscal cliff and having massive tax increases happen? I think that’s a bad idea, I don’t think we should have that happen. 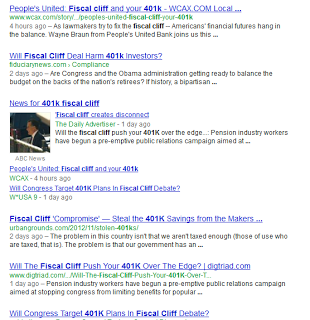 We should make it very clear that if Obama drives us over that cliff because he is not helping on spending, because he is demanding tax increases, and if we do that in a transparent way, then I think we have a shot at winning the political battle, which means even if you went over the cliff, and again, Obama thinks he was made King in the November election. He is overplaying his mandate, just as he did four years ago. Four years ago, he took a 70% support level and drove it down to below 50% in a matter of months by spending all that crazy money on stimulus and TARP II and other spending programs, because somehow he thought the American people had signed up for this, they hadn’t. Now he thinks they’ve signed up for massive tax increases as well as spending increases and, I’ve got news for him, 86% of his ads were Romney’s an idiot, Romney will give you cancer. He won a mandate not to be Romney, OK? Not the same thing as a mandate to tax and spend. Boehner is doing a fairly good job of holding things together. I liked Boehner’s tone today. He went into this saying we want to be flexible, we want to be open. And when you get mistreated and lied to and misled by this administration as long as they did, it is wise of them to call Obama out and say he’s not being serious. You and I look at his spending and say ‘that’s a mistake.’ He looks at this as his life’s achievement. He’s happy with all the spending. He likes the growing entitlement. More people on welfare is a GOOD thing for him. He doesn’t see this as something to be fixed, he sees this as something to be applauded. So when we expect him to share our view that the government is spending too much money and we ought not waste money and we ought to be careful, we ought to treat taxpayer money with respect, he doesn’t have any of those impulses. all together. It’s going to be a perfect storm of annoying government behavior, which is devastating to the economy, and I think the small business community which is particularly hit by Obama’s tax increases are going to lead the fight bigger, stronger, tougher than the last Tea Party. And this is where Obama’s making a big mistake. He doesn’t understand who he’s threatening, who he’s irritating, and how this is going to turn out. So I think we’re going to see a real snap back against this Administration’s excesses, just like the last time.